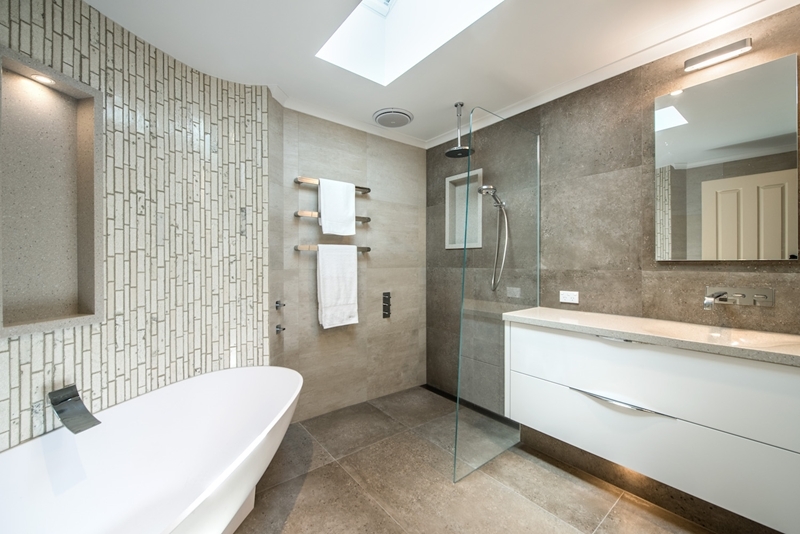 When planning a bathroom layout it’s important to split the room into functional zones – wet and dry. Dividing these zones can be tricky, especially if space is limited and you’re trying to squeeze in a number of many different features in. 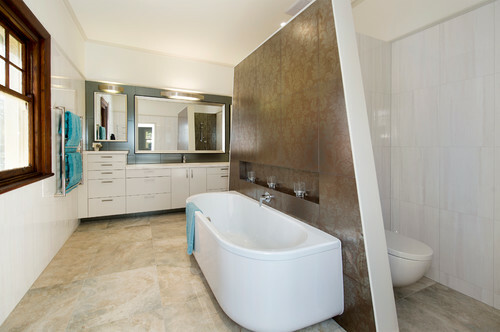 Yes… you may need to sacrifice the freestanding bath in order to achieve functional, uncluttered and workable zones. What are the wet and dry zones? The dry zone generally contains a vanity and toilet area. These are the most frequently used areas in the bathroom, so it’s important you keep them dry! Keeping these features away from the wet area is important for obvious reasons. Ideally, you don’t want to track water around the dry zone after bathing because the next person/guest who needs to use the toilet or basin will have to dry off their feet or wipe the floor before walking in. The wet zone houses the splish-splash, rub-dub, relax-in-the-tub type activities. You want to step out the shower, put your feet on the floor, wrap a towel around yourself and walk out the door without wetting the whole bathroom floor. Yes that’s right… dry first, walk out the shower after. Placing the towel at a reachable distance from the end of the shower or within the wet shower space will ensure you can dry yourself off before stepping out of the wet space. To achieve this in our design, we place all messy water activities to one side of the room or create partition walls or islands to keep the spaces separate. If you’re planning to use partition walls, it’s important to keep in mind not to suppress the space and make it feel dark and cramped. Often placing a wall in the bathroom can darken the space, so the location of the wall is crucial – we don’t want to block natural light from the window. It’s also vital that there’s enough space to do this and ensure the size of the wall is not going to enclose the bathroom. When allocating space to the shower, remember that it should have a comfortable amount of elbowroom and be wide enough so you don’t accidently knock the soap off the soap dish. The size should be a minimum of 900mm wide for good design, and toilet area should be about the same. 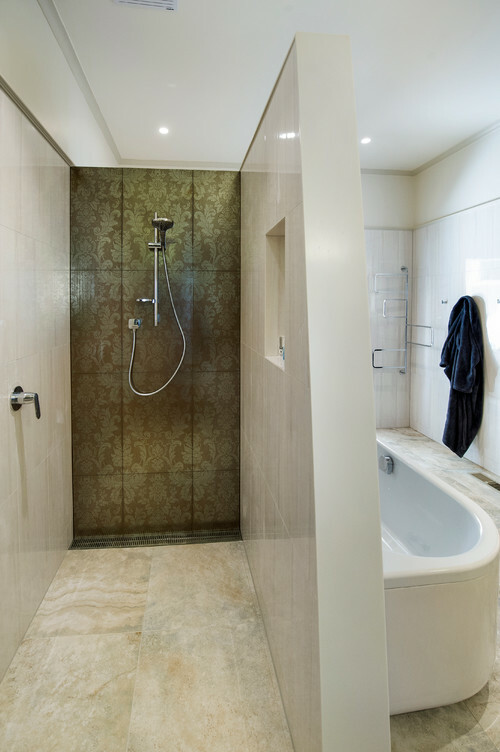 Design tip: The tile height should be even throughout the wet zone – either full height or one tile above the shower height for cohesion and waterproofing longevity. If you would like more information on this topic, get in touch with one of our professional designers – we’ll be happy to talk through your different options.